Everything But The Kitchen Sink: Go bananas! I love love baking! I try to bake cakes and bread as much as I can but my sister also bakes so it's a fight to who gets to bake and decorate the cakes every week! So as I had a few left over over ripe bananas I looked online for a Banana Loaf recipe (it's actually one my friend recommended to me) and decided to try it. Beat the butter and sugar together until light and fluffy. 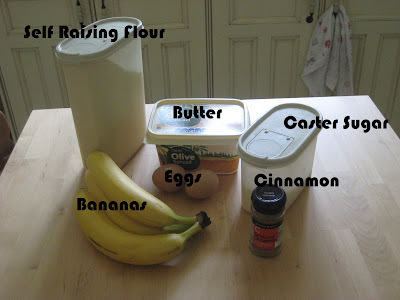 Beat in the eggs then add the mashed bananas and self-raising flour and mix! 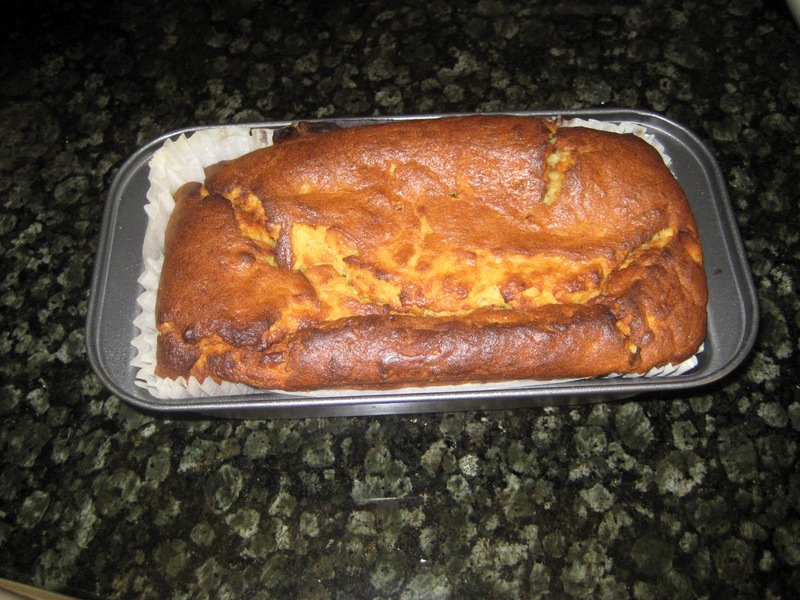 Use a greased-proof paper loaf tin and cook in the over around 180 degrees. It said on the recipe to cook for 1 hour 15mins but I found that the top was burnt and the middle still not cooked, so my mum told me to put a bit of foil on top to stop it from burning (she told me this after I burnt it, she's so helpful!) So basically it's up to you to watch it doesn't burn! 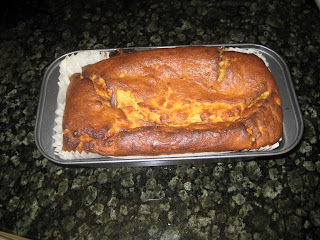 Then leave it to cool for a bit, it may sink so leave it in the oven to cool down slowly (with the oven turned off! ).